These free 4th of July clip art images will make your summertime project extra special with images of fireworks, flags, eagles, and other patriotic images of freedom and celebration. 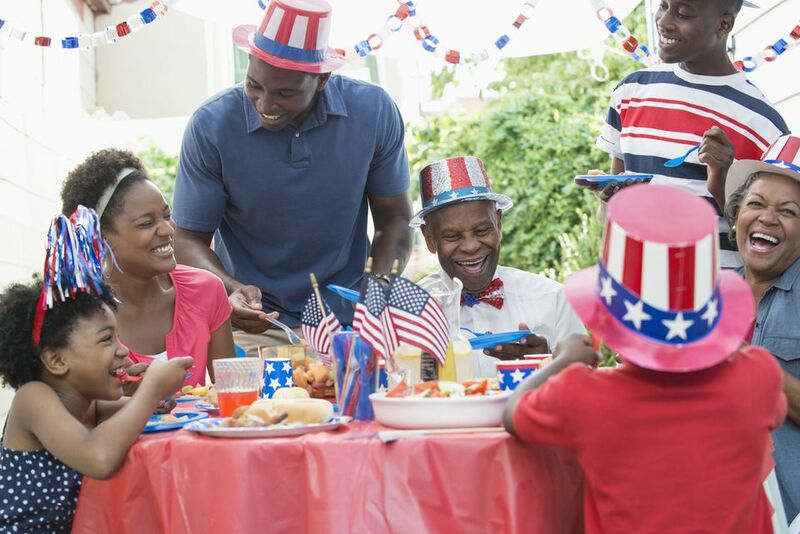 No matter if you're working on something light-hearted or something more serious in nature, you'll be sure to find the perfect 4th of July clip art image for whatever your project may be. These free 4th of July clip art images are easy to download, just click on the image you'd like to use until you get the largest image. Then right-click to download. You can then use it in just about every online or printable project. You can find more patriotic clip art images in my lists of free Memorial Day clip art and Labor Day clip art. You can find more 4th of July fun with some free 4th of July coloring pages. Two pages of fun 4th of July clip art images await you at Webweaver's Free Clip Art.There are free images of flags, words, fireworks, balloons, hats, celebrations, Uncle Sam, and eagles. Click on the image once to get the largest one and then right-click to save or copy the image. Some related free clip art at Webweaver's that you might be interested in includes their eagle clip art, USA flags, and fireworks, all of which can be found through the links at the bottom of the Webweaver's website. If you are looking for something truly unique then you just have to take a look at this vintage 4th of July clip art over at Vintage Holiday Crafts. There isn't a huge selection here but they are all free clip art images that include historical figures and people celebrating and honoring the 4th of July. Be sure to click on the clip art image before downloading it, so you can get a large, high-quality image. 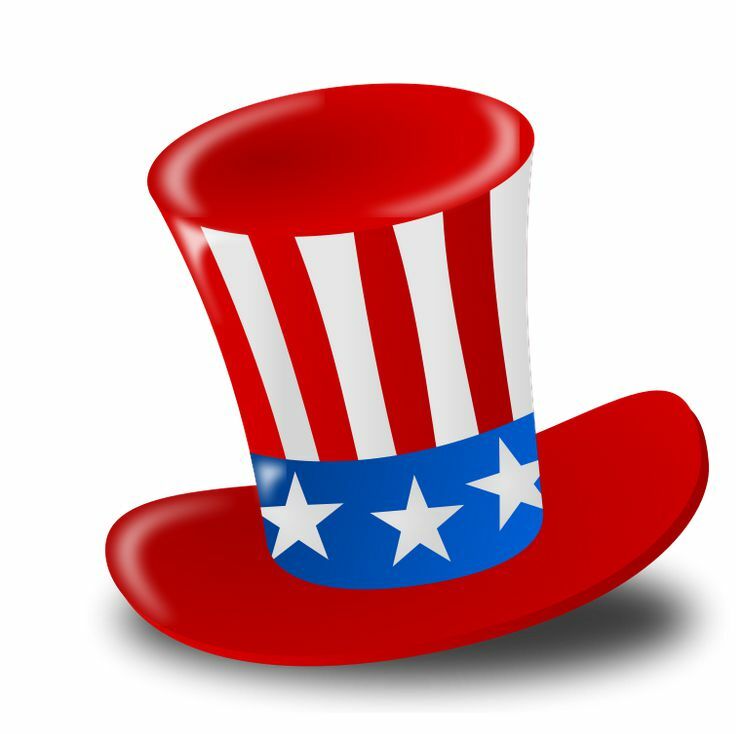 There are four pages of 4th of July clip art at Free Clip Art Store plus a page of animated images. There are pictures of fireworks, eagles, flags, and even a patriotic Mickey Mouse. With all these choices, you'll have a tough time deciding what image to use! The clip art can not be made any larger, so you can just right-click them as they are to copy or save them. Another place for some free 4th of July clip art is fg-a.com. All the pictures are on a single page, but there are also some similar similar 4th of July images if you follow the links at the top of the fg-a.com website. There are both animated 4th of July clip art as well as still pictures. You can download these pictures by right-clicking and copying or saving them. Make your way through the 200+ images of clip art at Hellas Multimedia to find 4th of July clip art and other themed images like borders, lines, and backgrounds. The 4th of July clip art section has 30 pages of images, so be sure to look through all of them to see what Hellas Multimedia has to offer. There's also a page full of just USA flags on Hellas Multimedia, and another that has patriotic graphics. Clipart Panda has more than 50 free 4th of July clip art images that include fireworks, flags, hats, balloons, stars, cupcakes, borders, and much more. Click on the thumbnail of the image you'd like to download and you'll see the file type, number o views and downloads and the dimensions. Use the green button to begin your free download. Most of the free 4th of July clip art images here are of fireworks but there are also images of the Liberty Bell and a patriot. Click on a thumbnail to view a full-sized version of any of the clip art here. On the download page is also the size of the file and the image's resolution.